A 5.1-magnitude earthquake struck off the coast of Shizunai, Japan, on Friday, according to U.S. officials. 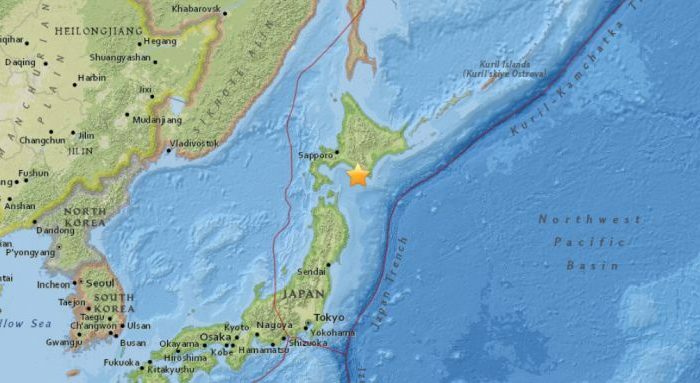 The temblor hit about 16 miles from the town, located on Japan’s northern Hokkaido island, according to the U.S. Geological Survey. It had a depth of about 40 miles. A tsunami warning has not been issued by the Pacific Tsunami Warning Center. But on Thursday, a rare, 4.1-magnitude earthquake hit near Dover, Delaware, and it was felt across the U.S. East Coast. People in Baltimore, New York City, and Philadelphia said they experienced the quake. There were no reports of damage or injuries.